About Ukraine and ukrainian people. Ukraine is a state in South-Eastern Europe. It is the second largest country in Europe. The territory of Ukraine is 603,7 thousand square kilometers. Two such countries as Italy can be placed on this territory. Ukraine occupies 42nd place in the world as to its terrtory being larger than any country in Western Europe. Ukraine stretches for 1300 km from east to west and 900 km from north to south. The territory of Ukraine consists of the Autonomy Republic of Crimea and 24 regions. The capital of Ukraine is Kiev. 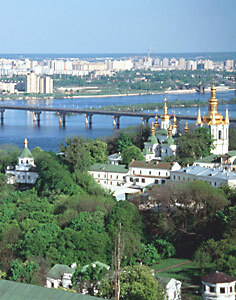 The largest cities are Kiev, Kharkov, Dnepropetrovsk, Donetsk, Odessa, Lvov, Lugansk, Zaporozhie, Krivoi Rog, Simferopol. Ukraine borders on Russia, Moldavia, Rumania, Hungary, Slovakia, Poland and Byelorussia. The climate of Ukraine is mild and warm. Eastern Ukraine is slightly colder in winter and warmer in summer than Western Ukraine. Ukraine is the country of many rivers. The Dnepr river divides Ukraine into two parts: Right- Bank and Left-Bank Ukraine. The Danube gives Ukraine access to European countries and the Siversky Donets to the Don. In the south Ukraine is bounded by the Black Sea and the Sea of Azov. Within the borders of Ukraine there are the Carpathian Mountains with the highest peak Goverla 2061 m high. 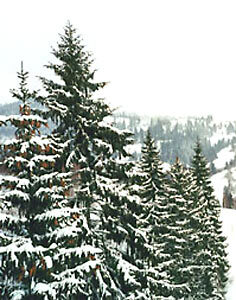 The Crimean Mountains with their southern steep slopes stretch in three parallel ranges. The highest peak of the Main Range Roman Kosh is 1545 m high. The economic potential of Ukraine is great. Ukraine is criss-crossed by railroads and highways, oil and gas pipelines. It has close economic ties with Eastern and Western Europe. The population of Ukraine is almost 48 million. People of many nationalities live in Ukraine. Three quarters of population is Ukrainian. In folk culture and lifestyle there are some differences. About 20% of population is Russian. Other nationalities comprise 6%. Among them are Byelorussians, Moldavians, Tatars, Poles, Romanians and Greeks. More than 15 mln of ethnic Ukrainians live in other countries (Eastern and Western diaspora). Most of them live in Canada and in the USA. The Ukrainians are known as hardworking, patriots of their land, good family men and devoted wives. They are typically kindhearted, friendly, hospitable and well wishing. They are cautious and inclined to romanticism and sentimentality. The Ukrainians have a special sense of humour. 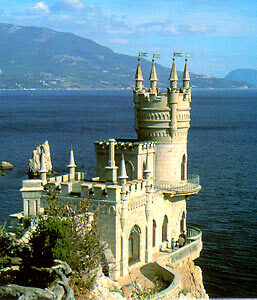 The population of the Autonomous Republic of Crimea is over 2,000,000. People of many nationalities live in Crimea: Russians, Ukrainians, Crimean Tatars, Byelorussians and others. Ukraine is a very ancient country. It has its own language and customs. Ukraine is an independent country. It has its own flag and national emblem. Ukraine is a wonderful place for romantic meetings and tours of love! 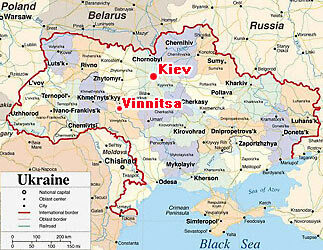 Vinnitsa is a regional city in the central part of Ukraine. It is situated upon the Southern Bug River. The population of the city is over 400,000. Vinnitsa is 640 years old. The city is first mentioned in 1363 as a Lithuanian fortress of Vennitsa. The name of the city comes from 'veno'- a dowry. Vinnitsa is an important industrial centre of the Right-Bank Ukraine. 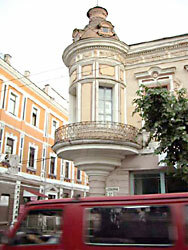 The city is one of the cultural and educational centres. Vinnitsa boasts of the Teachers Training University and the Medical and Politechnic Universities, the Ukrainian Drama Theatre, the Philharmonic Society. The city boasts of three museums - the Museum of Regional Studies, the Literary Memorial Museum of the famous Ukrainian writer M.M.Kotsiubinskyi, and the museum-estate of M.Pirogov, the world famous surgeon. Our office is situated right in the heart of the town. We do hope that some day you will visit our town and find your true love here!